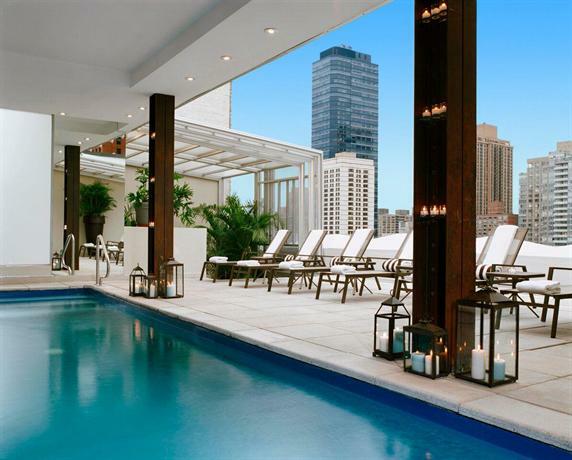 Located on the 13th floor of the boutique Empire Hotel, one of the oldest in NYC, the bi-level rooftop pool offers views of Lincoln Center and Central Park. The small covered walk in plunge pool features chaise loungers, covered day beds, private cabanas, large planters, sun deck, and a pool side menu. The private cabanas are equipped with flat screen tv's, ceiling fans, refrigerators, and telephones in case you want to make a phone call to the 1990's. The pool is open seasonally from Memorial day to Labor day, but the roof deck is open year round.